Jim Hoddenbach from DisciplesofFlight.com joins us to talk about a wide range of aviation topics. First we start with Jim’s unusual start in aviation, where we was essentially coerced into learning to fly. It wasn’t until his solo flight at 5 hours (whoa!) that the lights truly came on. From there, Jim was hooked. We talk about his career from there, gaining 500 hours in a Cessna 421 flying all over the US and Mexico. Of Jim continued on, getting his commercial, CFI, and eventually his ATP in addition to starting with an airline. Juggling his maintenance business, and airline job, and a small family, Jim decided to get back to the basics and enjoy flying again. He quit the airline, and went full time ‘mom and pop’ aviation shop. But Jim’s business and story is so much more than that. Quitting the airline opened a whole new world to him. Now he was having fun again, and even enjoying some aviation photography and videography. Jim tells his story of learning to edit videos, photos, and overall do another thing he loves- the ‘eye candy’ stuff. 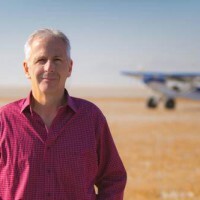 If you’re looking for a fresh and different view on aviation, Jim and his Disciples of Flight website is a great way to get reconnected. Jim, thanks for joining us on the show. Keep up the fantastic work! We can’t wait to see what Disciples of Flight end up doing next. Becoming a disciple of flight. This is AviatorCast episode 67! Chris: Welcome, welcome, welcome aviators. You’ve landed at AviatorCast. My name is Chris Palmer. Being an aviator for me is about more than just the ability to fly. To me it is often about the accomplishment I feel in my growth as an aviator. Yes, flight is nearly indescribably amazing but it is the challenge of flight that also brings great appeal to me. So welcome to this, the 67th episode of AviatorCast. It is my honor to welcome you here to our fold, to our crew, to our flock of birds if you will. So thank you for joining us. AviatorCast is all about inspiring aviator interviews, insight into the industry, reigniting the flame if you’re finding that aviation is not as passionate as it once was for you. And also, getting the courage the fly if you’re not yet a pilot. So there are many reasons why we have AviatorCast here. It is your eyes into the vastness of aviation. We try to get a lot of different guests on the show, we talk different topics on the show from time to time. Thank you ProPilotPete, really appreciate it. You just got an AviatorCast t-shirt, limited edition. Go ahead and write me at me@aviatorcast.com and I will shoot that to you and if you the listeners out there, if you would like an AviatorCast t-shirt on top of you already loving AviatorCast, assuming you do, go ahead and leave a review for us on iTunes. We’d love to hear it. So go ahead and do that and you could win an AviatorCast t-shirt. So I’m excited about this interview today with Jim Hoddenbach. He is a video guy to a certain extent. Jim is a lot like me in the sense that he brings aviation into the video space, but his career and his background is a lot more diverse than just that. This guy has almost done it all. He has had a really varied career, we’re going to talk about that. And so as you’re going along listening to this show, if you are at home or if you’re at the office, I give you permission to break away from your work and go to his website as we’re listening along here. That is DisciplesofFlight.com. It’s a fantastic blog. Lots of great photos on there. They do a very good job sharing aviation-type stuff. So as we’re going along here with Jim, feel free to follow along on the website and view some of their stuff there, and here we have it. Here is hangar talk with Jim Hoddenbach. Chris: Alright everybody, we are honored to have a very special guest with us today, Jim Hoddenbach. Jim, welcome to AviatorCast. How are you doing? Jim: I’m doing well. Thank you very much. Chris: It’s great to have you on the show. I think this is going to be an interesting one because you are a guy with a very diverse aviation background, so we’re going to be jumping around to a lot of different things. First off, tell people maybe what you are known for. Jim: Well, that’s a hard one. 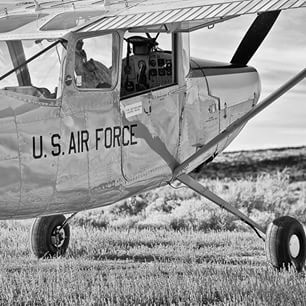 Generally speaking, I’m known for a little company that I run in Utah called Aero Services. It’s just a little aviation maintenance business. We take care of a lot of single and twin engine piston aircraft. 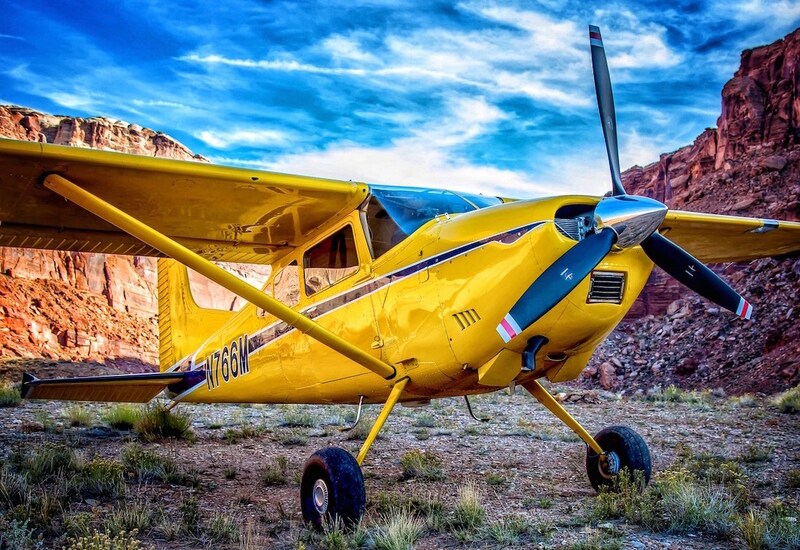 I’ve been here at the same airport at Skypark Airport in Woods Cross Utah for the last 31 years and so I know a lot of people here on the field and people come for maintenance and for aviation therapy. Chris: I like it. And tell us about your photography and your blog as well. Jim: Okay. Well, a number of years ago, we got pretty interested in the whole photography thing and as the digital photography became real popular, I got really interested in that and combining my interest with aviation, it was really something that I enjoyed and so over a period of time, I got to where I really wanted to try to develop some sort of business interest and included photography with my aviation experience. I saw a friend of mine and myself, Brian, we got together and we started creating some ways to get some of the photography that I was doing out, and also some of the video, we were both pretty passionate about video, and so we started to do some different video projects in aviation and ultimately came across this idea of the Disciples of Flight website. And through the Disciples website, we’ve sort of taught ourselves to be a little bit of a write, a little bit of a photographer, a little bit of a videographer, and whatever else we can do but it’s become kind of a fun outlet for us to be able to share our passion for aviation with different forms of media and we’ve had a lot of fun doing it. Chris: And that’s what attracted me to you guys, is I came across your website, and for you listeners, the website is disciplesofflight.com. Lots of cool photography there. Really great articles. There are some great writers on there, yourself included. And I like that it’s kind of the grassroots levels of aviation. It’s not too technical. It’s more so about the passion. There is even this recent writeup about the SR-22. Just one thing after another. Kind of flavors from all different sides of aviation that are really cool to read and it’s stuff that you actually like to see and of course the photography you guys have been doing is really great too, so that’s certainly what attracted me to ask you to be on the show in the first place. Chris: So, the first question, I guess I kind of already asked the first question, but the first real question so here you go, the first real question that I always ask is how did you fall in love with aviation? Jim: That’s an interesting story. Back in the day when I was young, I was about, I don’t know, 22 years old I guess, I was kind of at a point in my life where I wasn’t real sure what I was going to do. I had been working as a car mechanic and I had some pretty good experience there and fairly good background. But I just was in between some things in my life and I wound up coming to Northern Utah here in Woods Cross-Bountiful area where my brother was living and with just an intention to spend a couple of weeks with him and that turned out to be 31 years ago now. He was involved in a real small helicopter company, worked as a mechanic taking care of a helicopter for a little local operator here. And soon after I arrived, his aviation interest and experience led him into working on a number of privately owned aircraft for individuals in the area. And when I came, I just sort of started hanging out with him and helping him. I had a mechanical background. I started helping him with some of the tasks that he had to do and the next thing I knew, a month later, we were renting a big hangar and starting a little business. I didn’t really even know anything about it. I just kind of was along for the ride. 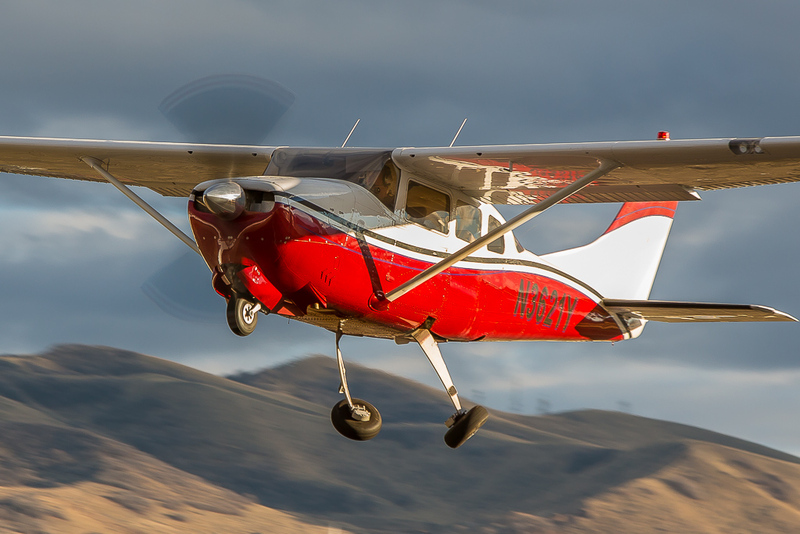 And then a month after that, somehow we accumulated enough money to go out and buy a little Cessna-150. He was a pilot already and he kind of wanted to buy an airplane and I said, “Well yeah, that sounds good.” And not knowing what I was getting myself into but we pooled our resources and went out and spent about 5000 dollars for an old beat-up 150. And so then, I’m working on airplanes and now this little airplane is sitting out there and I got flight instructors bugging me about going out to fly it with him. And so I went out and started flying it a little bit and to be honest, I didn’t really like it that much. It scared me. But they kept bugging me and I would go out and we’d do the maneuvers and things like that. And then one day, we had about five hours one day, this instructor, he said “I want you to pull off the runway over here” and he got out and he told me to go do three takeoffs and landings by myself and I just, honestly I did not feel like I was ready, and even to this day, I think it was too early for me. But somehow, he talked me into it and that is the day that my life changed when I went around the pattern by myself without his help and I know that I could do this. And it was an amazing change in my life at the moment. I was on fire and everything I’ve done in my life since then has revolved around aviation and flying everything that I could possibly fly. Chris: So it’s almost like you were coerced into aviation away but as soon as you did that for a solo, it sounds like that’s when you caught the bug. Jim: It is. As I said, that’s the day that changed my life. I don’t know what it was. 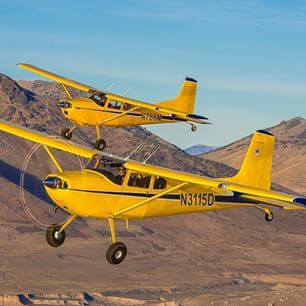 There just was something about flying before that that scared me and I think part of it was that I had a guy who gave me a ride in this airplane that we had bought a week or two after we got it and he went out and did some stalls. Well I should say he did one stall and I was not anticipating what was going to happen and he went in to the stall a little bit uncoordinated and the next thing I knew we were kind of in about half of a spin and it scared me to death. Literally I thought I was going to die because I just didn’t know what to expect. I didn’t know what was happening. I just knew that this was something bad. And so I had a real reluctance about flying up until that day I soloed but the solo changed my life and it made me really develop a deep passion and I progressed through all different kinds of opportunities to fly since then. Jim: Yeah, I completely agree with that. It seems like that’s the point where people either give it up or they really put gas on the fire. Chris: Yep. Exactly. From there, tell us what kind of gas you put on the fire because obviously, you didn’t stop at your solo. So how did your career and your training mold from there? Jim: Well, I got my private within three months or four months after I soloed and I was pretty excited about that. We put this little 150 that we had into a flight school and started unleashing it to the company and since I was a mechanic, we did our own maintenance on this airplane and it was doing reasonably well so we decided that it was time to buy some more airplanes. And so of course, we bought airplanes that appealed to myself and my brother, things that we would maybe potentially use ourselves so we bought a 172 and a Piper Arrow. So it wasn’t long after that that I decided I needed to pursue the instrument rating. The instrument rating was tough for me because it just required a lot of effort. It was a lot different obviously than doing the private. I had a good friend who just was an incredible instructor and of course in this business, instructors are the people who really influence our lives I think. And this man had been a former navy pilot, he flew F-4s off of a carrier, and he was super precise. He wouldn’t let me vary one degree off my heading. But he really taught me how to fly. I felt like as a private pilot, I knew how to fly but when this man got working with me, he taught me how to make the airplane do what I wanted it to do. And that level of proficiency really impacted me. It made me feel like I really could be a safe pilot and that I could make myself do what I needed to do. Again, it changed my life in many ways. And I was lucky enough that as I was getting near the end of my instrument training, he suggested that we take a trip where we would go and just do instrument flying. And so we took a three-day trip, we left Utah, flew to Southern California, and over the next three days, I flew, I think it was 21 hours, and 11 of those hours turned out to be actual instrument in the clouds doing approaches in Southern California. I was rung out by the time that trip was over but I had learned so much. It was such a good experience for me that I came home and again, I think anytime in this business where you develop a new skill, you become more proficient at things, it’s like “Oh, I got to have more of that.” It’s like an adrenaline rush or something. And so that instrument training really, as we said, put gas on the fire. And that’s kind of when I decided that I would like to pursue a professional flying career. And so pushed forward straight out of the instrument rating, got my commercial and then went on to get the instructor rating. I feel like when I got that instructor rating, I felt like I was quite the pilot at that point in time but I didn’t realize that I still didn’t know anything. It was through that opportunity to start teaching other people that I really started to learn about aviation and about flying. Now, I had some goals in mind of wanting to become a professional pilot. And so I was pretty motivated looking for any and all opportunities I could to fly other airplanes, bigger airplanes, twins and all that kind of stuff. And one thing led to another and I got involved in flying a 421 with a fellow who was a lower time guy and we flew. That was new opportunity for me because we flew all over the country. We flew into Mexico two or three times, we flew into the Bahamas. This guy seem to have plenty of money to buy gas and he like to go, and I like to build time so we had a pretty good arrangement going and I got about 500 hours of just flying in that 421. Of course it was right seat time but a lot of it was fairly intense for me because we were often times flying it in the clouds, picking up ice and doing things that were right on the edge of my comfort level, let’s put it that way. But it’s a great experience and it got me over the hump on what I needed for my twin time and total time. Eventually after many years, I got hired by a regional airline and I then flew turbo props for four or five years. Just really, really great experience flying at the airline. Throughout the whole process of all of my flying from day one, clear through all of the airline and everything, I had a young family and three kids and I was trying to pay the bills and trying to do all of those things all att he same time. And as most people know, the airline pay at regionals has never been great so in order for me to make ends meet, during that entire time I kept my maintenance business going. And I had a fellow that worked for me. And when I was gone, I would take a suitcase full of log books that I was doing research and doing paperwork on and I would communicate with him on the phone and I’d come home and I’d do inspections and I’d do any kind of work that I could. It was a busy, busy time of my life. Chris: Yeah, no kidding. Plus a family. Jim: Yeah. So I was dividing my time between my business, the airline and my family. After five years of doing that, I kind of asked myself one day “What are you doing?” I need to start having fun again. And so I decided to quit the airline and as much as I loved it, it’s probably one of the best things that I ever did because it opened up some time in my life where I started doing the fun things with airplanes again, going out camping, flying to Mexico, doing those types of things, and spending more time with my family. And the reality is is that my business really began to flourish after that again and it was a good move for me even though I missed flying for the airline in many ways. I’m really glad that I went and did that and I’m really glad that I quit. So my experience now is much more broad as a result of the airline experience that I had but now I get a lot more diversity in the things that I do because I’m doing a lot of the fun flying that I would like to do and a lot of the aerial photography work that I enjoy. I fly for a company that we do aerial survey works so we do a lot of vertical photography with a big format camera out the belly of the airplane and I enjoy that. In fact, that’s been something that I really enjoy because I get to see so many areas and I take my camera wherever I go and I’m taking pictures of all these places. And so my life is just a lot better without the airline. Chris: That is really interesting to hear several things there. It’s really interesting to hear that the regionals even back then, because how long ago was that that you were at the regional? Jim: My checkride at the regional was on the 10th September 2001. Jim: So it was the day before 9/11. Chris: Oh wow, no kidding. Jim: I came home and was lying in bed after all of my training and checkride at the airline and then heard about the 9/11 incident and I thought “Well, that was all for a waste. My airline career is now over.” But in fact, I had a good experience. It didn’t affect me personally nearly as much as I thought that it would have. Chris: Yeah. And another interesting thing is that I too did my instrument rating almost the exact same way that you did where, it was hard for me. It was difficult. In fact, I actually failed my first instrument checkride because the instructor I had was just trying to push me through, you know. It wasn’t about competency or anything like that. It was just about trying to get the ticket which I didn’t really want because I wanted to actually use it, I planned on using it. So after that experience and then going to my second go at it, I went with my instructor and instead of going to California from Utah, I grew up in Utah, we went from Utah to Oregon and did the same thing for three days. We went up and down the Oregon Coast in actual IFR and gosh, there was a moment there where it just clock for me and I felt like I got it and I felt confident. And then obviously the checkride as a result went really well too, just a breeze. Chris: So let’s talk about your story from there. So let’s talk about I guess the growth of your, do you run a full FBO there or is it mainly a maintenance facility? Jim: It’s not an FBO that I run. It’s not a repair station. I’m an A&P IA mechanic and I’ve got two employees and so it’s just three of us in a little shop and we just run a little, just a little business that takes care of people’s private airplanes and we do quite a bit of work for a flight school also. But yeah, it’s just a little general aviation maintenance facility. Chris: I would argue that it’s the “little businesses” or little facilities like that that are the driving force behind general aviation. It’s guys like you and little mom and pop shops like that that help pilots stay flying. Just for my own personal experience, not all maintenance facilities are created equal, and it’s really nice to have, and I would imagine this is how you guys are, it’s really nice to have a facility where you trust the people you have a relationship with them. They in a sense have a relationship with your airplane and they know it and they’ve taken good care of it over the years, so that’s so valuable for a pilot. Jim: Well, and I see my business as slightly different than a lot of maintenance facilities because of my extensive flying background. I tend to talk about flying a whole lot more with my clients and I can talk about instrument flying with them and I can talk about backcountry flying. Whatever it is they’re doing, I’ve had experience doing that and I still fly as a flight instructor. Many of my customers I work with doing tailwheel checkouts or doing biannuals. So it’s not just taking care of their airplanes, it’s trying to make sure that they stay safe and that they have good solid skills. So we talk a lot about flying in my shop and we talk a lot about building airplanes and we talk a lot about… It’s just kind of a place where people like to come and hang out and talk about anything to do with aviation. Chris: The epitome of hangar talk right there at your shop. Great. So let’s tak about the photography thing because that really intrigues me. It seems like you guys do all sorts of different photography. Like you’ve mentioned, air to air, air to ground. Tell us how that connection kind of started and how you started the aviation photography business. Jim: Well, I’ve always been interested in photography since I was a teenager, and so I took a lot of photographs when I was in my late teens or early 20s and then, I don’t know, with just life and everything, I kind of phased out of it for a while but when the digital world became so prolific or whatever that word is, when it became such a big deal, I got involved again and decided that I really did have a passion for this. And my photography interest of course gravitated into aviation because you know I love aviation, I love photography. The two of them seem to go so well together. Chris: Yeah, that’s the same camera I got because it had video. That’s the first DSLR I got. Jim: I started finding out how good quality the video was and so I got pretty interested in the combination of those two things and being able to do video. And I tried all kinds of different mounts and ways to try to rig up a camera in an airplane to get stable footage and they were all pretty unsuccessful because that’s not an easy thing to do. Eventually, I bought some gyros with a stabilizer and we started being able to get some pretty good footage of aircraft that were flying and I just kind of went crazy with that because there’s just nothing more interesting to me than seeing an airplane on the TV. Chris: Yeah me too. I am such the same way. You and I are both video guys. Just to see it in motion and to have it be in HD and crystal clear. There is something about it. There’s just nothing like it. Jim: Yeah. I don’t know how to describe it. And with this camera mount, with the gyros, I was able to get some stuff that I thought was pretty reasonable. And of course I had to get into the computer side of things too and I’m not a computer guy. So I went down and I bought them back and then I found out that I paid another 100 dollars, they would give you that training every week. And so I bought a final prep program and I started learning all I could about video editing. And again, I’m not a computer guy so it was very tedious and took me a long, long time to learn even the very basics of video editing. Anyway, ultimately I made this little film called, I can’t even remember what it’s called now, I think it’s called “A Dream Come True” or something, about a local pilot who owned a Cessna-180, and he loved to fly at the back country and different things like that. He was retired from the airlines. Anyway, we just went out. We flew with him. We did some air to air video. Then I set up a couple of hokey audio type of recording, I didn’t know what I was doing. And I interviewed him a couple of times and then I just started piecing all these things together at home at night while I was sitting next to wife watching TV. And I found that this video editing was kind of like reliving the whole experience all over again. And I started putting the music to it and trying to piece together a dialogue on it. And I’ll be the first to admit that it’s a little bit of a, it’s not the most polished video in the world but there was some emotion in it and I remember when I showed it to the guy who was our subject, he’s a hard old guy and tears came to his eyes and it was just an emotional experience that like we’ve said before, poured gas on the fire. It was like “Wow, that was cool. That was really fun and it was meaningful. I’d like to do more of these and I’d like to see more of these types of things. And one thing led to another and other opportunities would crop up from time to time for us to go out and do some aerial video. And one of those times, I went out to do, I have a Super Cub also, and I had it set up with this whole camera rig that I could hang from the ceiling. And we went out and did some video of a helicopter. This is when I met my partner now Brian, and we kind of, he was in the helicopter with a pilot doing some video and then he was going to take the footage that we had and edit it. Anyway, I got to know him. We started talking and we decided that we would start doing some projects together and that was four years ago or something and now we’re together on this Disciples of Flight thing and we’ve had so much fun, I can’t even express. We just gone out and shot video and done fun things. So that’s kind of how it all evolved. It just was one thing after another. It was just the pure love of photography and aviation. Chris: Again, very much like what I do because I have my business, I do my business everyday. It’s not the same old thing, I love what I do. I definitely love what I do but when I get out and go flying, I definitely like to record footage and have GoPros here and there and even get out with a tripod and have my DSLR on a good fluid head and get great shots of the airplane. And yeah, to come home and to relive it and to put it to good music, it’s a lot of fun. I’ve just always enjoyed doing that with aviation. Gosh, I hope it’s just a start of it all, you know. Jim: Yeah me too. It’s funny. 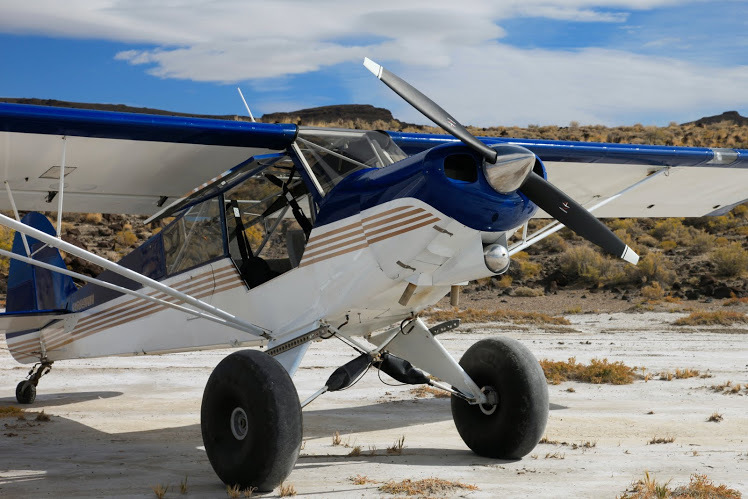 We have a lot of dry lake beds out here and stuff and this little Super Cub I’ve got, on a Saturday, I’ll just take it out, land it on the dry lake bed and I’ll set up my tripod and I’ll just go fly around it for a while. Chris: No kidding. That’s funny. Jim: Some of the videos that I’ve done have just been of something as crazy as that, just trying to fly in a fashion where I’m in the view of the camera and I’ve done a couple of things that I thought were kind of fun. So it’s just a case, it just adds another element of enjoyment to the flying experience for me. Chris: So where is the best place to find all these videos, is it right on the Disciples of Flight website or do you guys have a Vimeo or YouTube channel? Jim: I’m probably not the best person to ask that question too but right on the site, if you look around in there, you can find the videos somewhere in there. And there is a Vimeo channel that I think if you click on some of those, it will lead you into the channel. Chris: Yeah. I actually found it here. So it is on DisciplesofFlight.com for you listeners. If you look on the right hand side, it says “get connected.” There’s a link to YouTube there. It looks like you guys have 5600 followers on Instagram, that’s really impressive. So people are definitely liking your photography on Instagram. Yeah, it looks like you got some good stuff. I actually haven’t seen all these stuff on YouTube because there’s some actual training stuff. Here’s one about stalls. Jim: Yeah. We’ve dabbled in a few ideas with the trainee and we’ve done, I don’t know, just various different things, just exploring what we like to do and what we feel like we would be the best at. And then there are some examples of stuff we’ve done for some different companies like we’ve done some work for Pilatus. So there’s just a variety of examples in there. Brian and I did one video called sky climber on there somewhere and it doesn’t mean anything, it’s just something we just went out and did for fun and it’s only three minutes long or something but it just kind of showed another way that we can go have fun with airplanes. Chris: Yeah I’m watching it now. So you guys flew into somewhere and whoever it is is now swimming in a dirty river and they’re going to go rock climbing. That looks like Brian actually, right? Jim: Yeah it is. Yeah. Jim: So it was fun. I got to do most of the video work with that and then he edited it out and like I say, it was just strictly for fun. It was just something that we wanted to go out and do and enjoy and we had a blast doing it. Chris: With all the time I spent in Utah, I never get into the backcountry scene there. I don’t know if it’s just this little community that doesn’t really tell anyone else about it but it’s definitely not well known that you can fly quite a bit in the backcountry in Utah. Jim: Yeah. We don’t have nearly the backcountry strips that Idaho has for example. But we have three or four that are outstanding strips especially if you like a desert kind of red rock setting. There are some cool places here. And I think that it’s 10 or 15 years ago maybe when you were here, they probably weren’t as widely known. We do have an organization here in Utah, it’s called the Utah Backcountry Pilots group that they do a tremendous job in maintaining and securing these dirtstrips that we have in Utah and they’ve done a lot of work over the last 15 years, 10 years just really making people aware of what’s out there and a lot of work to preserve these places. They’ve worked on the government levels to preserve them so that they don’t go away. And we have a few places that are just real treasures here in Utah. Chris: There’s one I think I saw you talking about in the video where you were landing and someone pitched a tent in the middle of the runway or something like that. Jim: I think that that was probably in our little video we did about Hidden Splendor. Chris: Yep. That was it. Jim: That Hidden Splendor experience that we had, it was just amazing. It was such a cool place to go. And of course I like history and so we go to some of these places and there’s this old uranium line at Hidden Splendor that was just really fun to explore and learn about the history there. And I had not been to that strip before. We did that last fall and that was a place that I wanted to go for a long time and finally we used the excuse of going to do a video to get me there. Chris: Yeah. One thing we talked about a lot and this kind of goes back to what you’re discussing about earlier with your airline career is we talked a whoel lot about the different things that can be done in aviation to keep the passion alive. And the truth is it’s a big world out there and there are so many different ways to experience aviation. Just you talking about these backcountry strips in Utah, I’m not sure how many Utahans listen to our podcast but there are probably some and they are probably going to realize for the first time that you can actually fly in the backcountry in Utah, you know. Just one of those you don’t realize. Those opportunities are everywhere which is a really neat thing. Jim: Well that’s the cool thing about aviation, is that you can spend your entire life working in aviation and not even scratch the surface over what’s out there. I know many people who have never landed on a dirt strip or grass strip and yet they’ve flown their entire life. Jim: And vice versa. I’ve known people who’ve only every played in the backcountry and they’ve never landed in an ALX or something like that. And both are equally cool. It’s just different. One of the things that I want to do someday is get a float plane rating. What a cool experience that might be. That’s an area of aviation I’ve never experienced. I have a little bit of helicopter experience. A lot of airplane people really kind of turn their nose up at helicopters but it’s a whole new world of experience and knowledge and growth that it just never ends. There is so much to do, so much to learn. So many cool things to experience in aviation. Chris: Yeah definitely. Just like helicopters, you know. Initially I was turned off to those and I’m much more open to it now. Obviously looking in Alaska now versus Utah where I did most of my flying. Here, it is pretty much all backcountry. And so I’ve been working on my float rating and gosh it’s a blast. But it’s not so much a blast because it’s a float plane. It’s a blast because it’s something different and it twists my mind and makes me think about things differently and it’s challenging. Jim: It’s a new skill. Chris: Yeah. It’s just so fun to dive into something different. Jim: I agree. And that’s the whole idea of the Disciples of Flight. I mean if you really think about Disciples of Flight, the name implies something. And that’s why we chose that, Disciples of Flight. We really crave that knowledge and that experience and that new growth that comes from really delving into aviation. Chris: And that is what maintains a great aviator, is always being hungry for that next thing, for that growth in knowledge. You actually shared in the about us on your Disciples of Flight page. You wrote up a pretty good article about that. It’s definitely good to keep things fresh. Jim: Yeah. It was a difficult thing to define and I’m not sure that I adequately did it, because that whole concept is still evolving in my mind. But again at least for me, the phrase Disciples of Flight, really, it just has meaning in and of itself and if you really think about it, I think that it does for other people too. There is something to that. Jim: I just got that. I haven’t read it yet, I just got it. Chris: Yeah, you’ll love it. It’s very interesting. You know for me, interestingly enough, it was definitely an aviation book and I loved those components of it but it also was very illustrated from a business perspective and I won’t necessarily talk about that but going to your Disciples of Flight analogy or saying, the Wright Brothers were very much that way. It did not come easy to them. The reason why the Wright Brothers became the Wright Brothers that we know, that has that name recognition is because these guys day after day, they were so persistent in perfecting their aircraft and perfecting their skills and eventually to the point where obviously they exploded onto the scene and people finally realized they could fly but it was this hunger that even though man flight wasn’t possible yet at that time. They still hungered it. So there’s something within us, at least within some of us that really desires that. Jim: Yeah. Yeah, absolutely. There’s a driving force there that is hard to explain. Chris: So let’s wrap up the show now with kind of the last question that wraps into this last conversation we had here. So there are likely listeners out there that are looking to get into aviation. They’ve caught a little bit of that bug. There are middle age guys that have finally come into a little bit of means, their careers are progressing and they have some money to spend on flight training and they’ve always wanted to do it and so they’re kind of ready to jump on it, and then there are maybe the older guys that let their license lapse or something. What would your advice be for them to reconnect with the disciple within if you will and get back into flying or fly for the first time. What would be your advice to these people? Jim: I don’t know for sure but what comes to mind for me is we as human beings are very growth-oriented and so develop a new skill within the industry itself within aviation. If you’re an old time pilot, go out. I mean, I’ll use this as an example a lot of times. We live in an area here where we have class B airspace with the Salt Lake Airport right nearby. I have a lot of friends right here that I take care of their airplanes for they will avoid class B airspace. They do not want to go and deal with the radio. And it’s just a mindset that they’ve got. They’ve got themselves a little bit uncomfortable for one reason or another but I would dare say that if they found a good instructor, sat down and talked about things and worked through it, they would find that that is an enjoyable part of aviation. Talking to language and communicating with people on the radio. And so I think that it’s the new growth, the stepping out of your comfort zone just a little bit. If you have a fear of stalls, go ahead and learn what that fear of stalls is all about and develop the skills so that you understand them and can deal, so that you’re not afraid of them. We have made many trips to Mexico and each year that we start planning our trip to Mexico, we invite anybody who wants to come and people all say three or four months out they all want to come. And as the time gets closer and closer, people decide not to come and I’m convinced that it’s often times because of fear. If you can find a way to overcome that fear, we all experience fear in aviation in some form of another. Most of us don’t like to admit it but it’s overcoming those fears that creates the passion I think. Developing the new skills and finding ways to become better at what you do. I think that’s what drives us. Chris: And I’ve heard that referred to as the resistance. That’s what Steven Pressfield called it in his book The War of Art. Basically anything that is going to be good for us, anything that is going to speak to our soul and be of use to us, and I think the aviation speak to a lot of people’s souls, I know it does mine, you’re going to feel that resistance and that fear. It’s not that there is that fear of you’re doing something dangerous because flying to Mexico isn’t dangerous, it’s just Mexico, I’m sure there are considerations just like any other flight. But you know, when that resistance comes up, it usually means something good is on the other end. Jim: I agree with that. But we often find ourselves talking ourselves out of it. We submit to that fear more often than we should I think. Jim: I don’t know. I think people use all kinds of excuses why they don’t fly. They’ll say it’s expensive or whatever but I’m convinced that we do what we want to do. Even though it is expensive, I won’t argue that but so is so many other hobbies and so many other things in life are expensive. If you really want to do it, you’ll do it. I didn’t get into this business with any money, I have found ways to get what I wanted out of this business and I’ve scratched and scraped and saved and bought an airplane and then was able to build on that and buy another airplane. It’s a case of deciding what you really want. Chris: Well I appreciate the words of wisdom from Jim Hoddenbach. I appreciate that. Well Jim, we’re kind of running up against our time here. I don’t want to take up too much more of your time but I really appreciate you coming on the show today. Your background is so varietous and there is just so many things to gather from your story. I’m loving the website. You guys do such a great job. I just love reading your articles. Truthfully, there are a lot of articles on aviation I don’t like to read and your stuff is just doing really well. Obviously I love videos so keep up the great work there. And when I’m down in Utah to visit family, I’m going to be stopping by Skypark there to say hello so we’ll get to meet face to face then. Jim: Yeah, hopefully will. We will talk airplanes. Chris: Yep, definitely. We’ll get some of that hangar talk. Alright, I appreciate it Jim, thanks for joining us. Chris: A very, very, very big thank you to Jim for joining us on this episode of AviatorCast. Jim, thanks for inspiring us with your great stories with just your pure passion for aviation. I’m so glad that someone coerced you to go flying and so you could get to that solo where everything just kind of kicked off and you went for the stars if you will. So, really appreciate being on the show. Your story connects to a lot of us and we really appreciate your insights and your work in the aviation community. I’m looking forward to meeting you in person someday. Again, it will be pretty easy since my family is down there in Utah. So yeah, thanks again, really appreciate it. And for you the listeners, thank you for joining us on this episode of AviatorCast. A big thank you. You guys come here each and every week and you share our stuff and you leave reviews and just having you here, even if you don’t do any of that stuff, just having you here, connected to aviation is really what it’s all about. If you guys ever want to reach out to me, feel free to do that me@aviatorcast.com. I love hearing from you guys. If there’s anything you need, anything you want to talk about, aviation-related of course, I’d love to talk to you guys about it. So yeah, that’s it. Also a big thanks to the Angle of Attack crew for all they do, and join us next week. We will of course have another episode next week. We’re really looking forward to it, and until next time, throttle on!